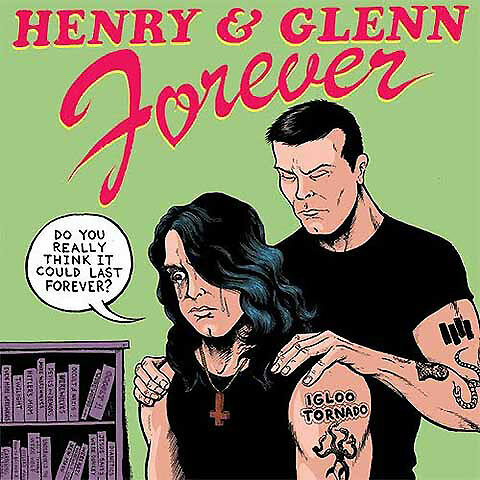 I really don't want to fight Henry Rollins. I just like to draw. You may have noticed I haven’t been posting in a long time. Sadly I have been busy enjoying the great outdoors as Edmonton only has 3 months of summer to enjoy! When winter rolls around, that’s when I’m snow-bound to do my art! However I do have a work in progress. This certain individual has a lust for life. I have many different ideas for artists as well. Again, if you’d like to see a particular band, let me know, and I’ll add it to the list. I remember in high school, going through my punk phase looking for bands to listen to, seeing all the punk kids wearing The Crimson Skull shirts. I thought to myself, where the hell is that from? Later on I discover The Misfits. I got two compilation records from the Danzig period for Christmas (very fitting huh? ), and I was blown away. The band is all pretty crazy with their style too. I love it! 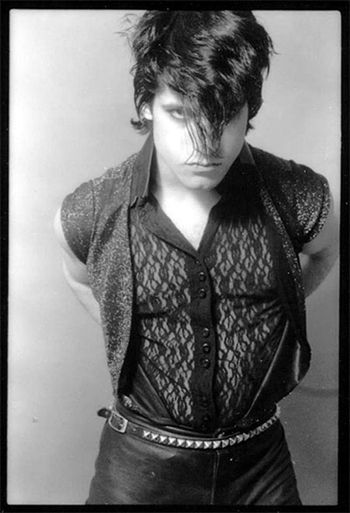 So here’s the original, young Danzig in all his glory. And here’s my version! Super proud of it by the way! Here’s one of my favourite The Misfits songs on the YouTubes! I also found this! Which I find to be hilarious. I think Henry Rollins would approve. I have always loved Queen, and Freddie Mercury is so inspiring and so fantastic. I would have loved to see Queen live. I remember listening to their Greatest Hits album on the way to High School and wanting to get up and dance on the bus. Here’s the original! So I got to be a part of this very cool project called Miguelito’s Little Green Car. You definitely should check it out, and you get to see what I look like!! I freaking love The Strokes. They’re too fun to sing to. When they first came out, sadly I was going through Jr. High angst and was too busy listening to Linkin Park to notice how awesome this band was. However, I discovered eventually how great they were. So here’s the original photo. They were so young! I remember having a conversation with someone in High School and they told me I didn’t like punk music until I listened to The Ramones. (At the time I was listening to Sum 41 and Billy Talent and thought I had punk cred. *Laughs*). So I said, fine dude! 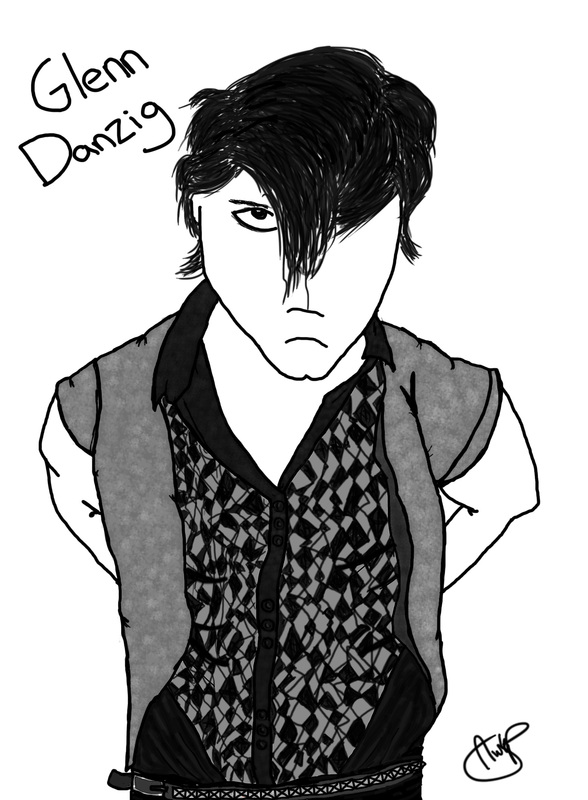 I liked Blitzkrieg Bop, I’m sure I’ll like the rest of their stuff. I was auto-hooked, and have been in love with old school punk ever since. I think Henry Rollins is amazing. He got me into sociology, punk, and politics more (winning combination in my books). He also helped me break out of my naive world-view. I emailed him thanking him for the spark, and he emailed me back with a thank-you and said, “It’s people power or bust.” So here’s the original photo.